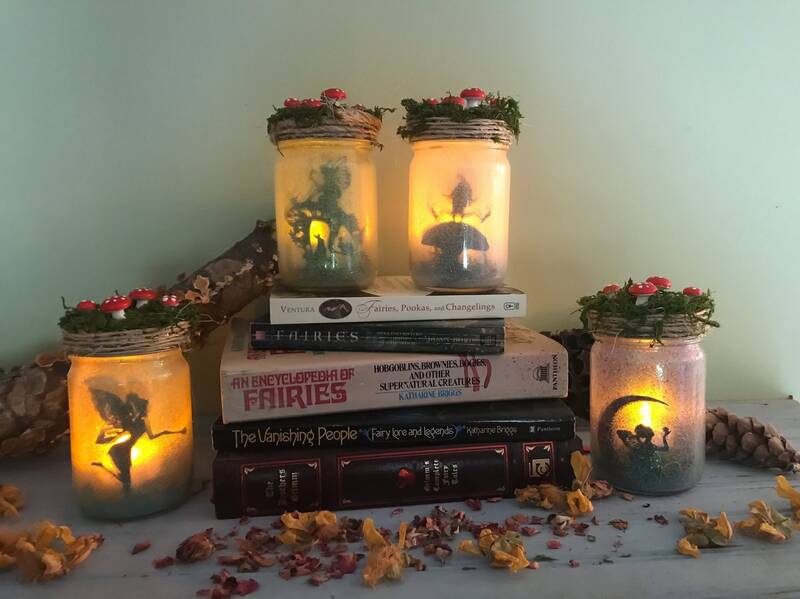 This is a new version of my popular fairy jars! 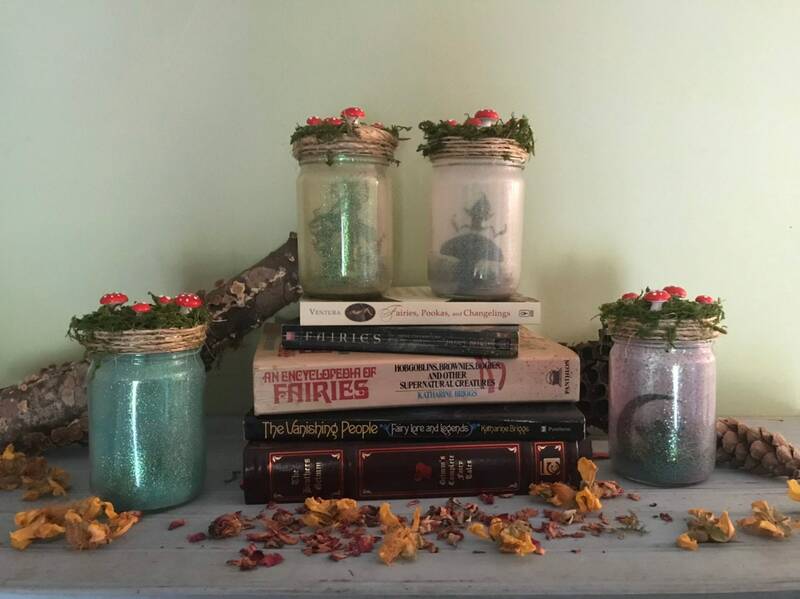 These jars feature a whimsical fairy ring on the lid with cotton spun mushrooms and moss! PLEASE NOTE: these do have a choking hazard because they do have the small mushrooms. Even though they are attached, small, curious, persistent fingers can detach them. THESE ARE NOT TOYS AND ALSO SHOULD NOT BE USED WITH REAL CANDLES. 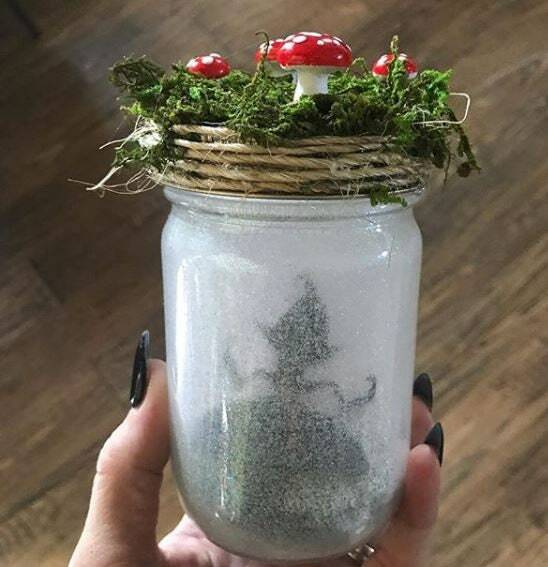 This is a listing for ONE fairy jar. 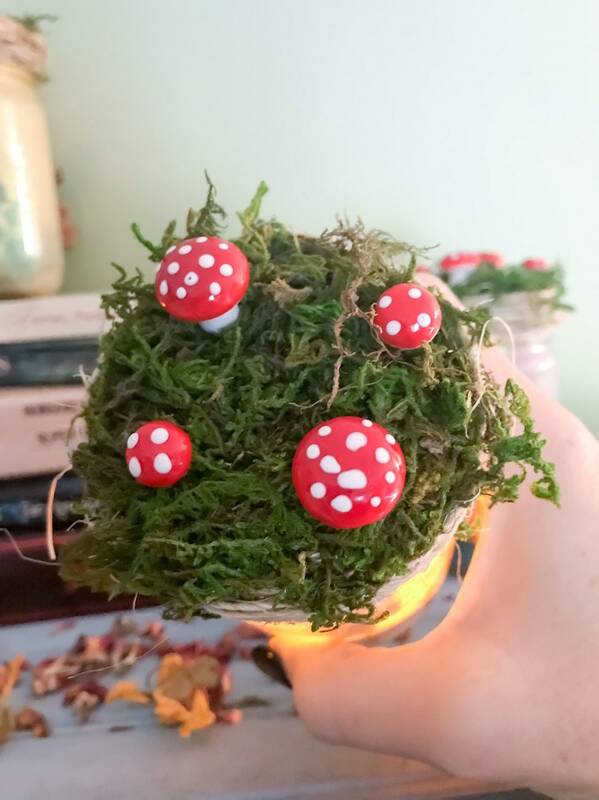 Lots of moss, glitter, magic and magical fairy tales are used to make these! They are 12 oz jars, see pic of my hand holding one to compare the size. 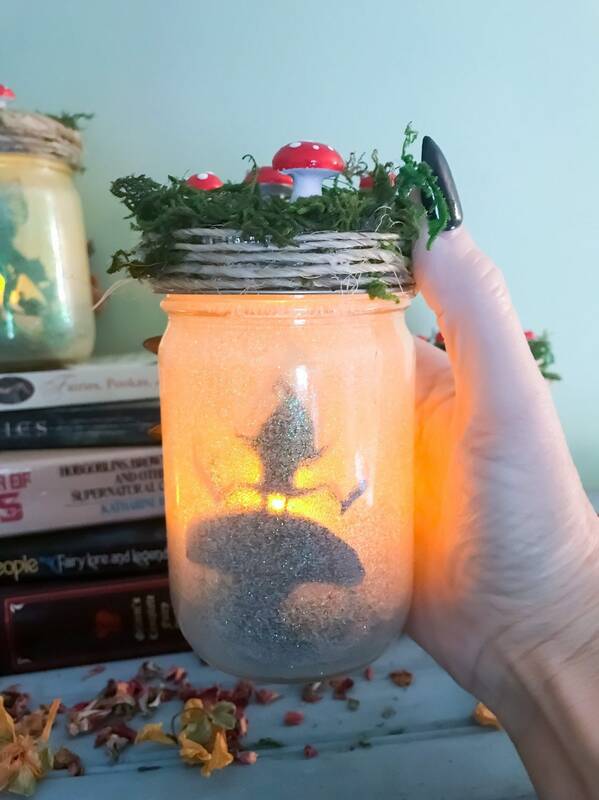 Your fairy will vary as it is up to the fairy which jar she would like to live in, UNLESS you post in the notes of the order which fairy you prefer in your choice of jar. These are perfect for weddings, birthdays, and baby showers!! 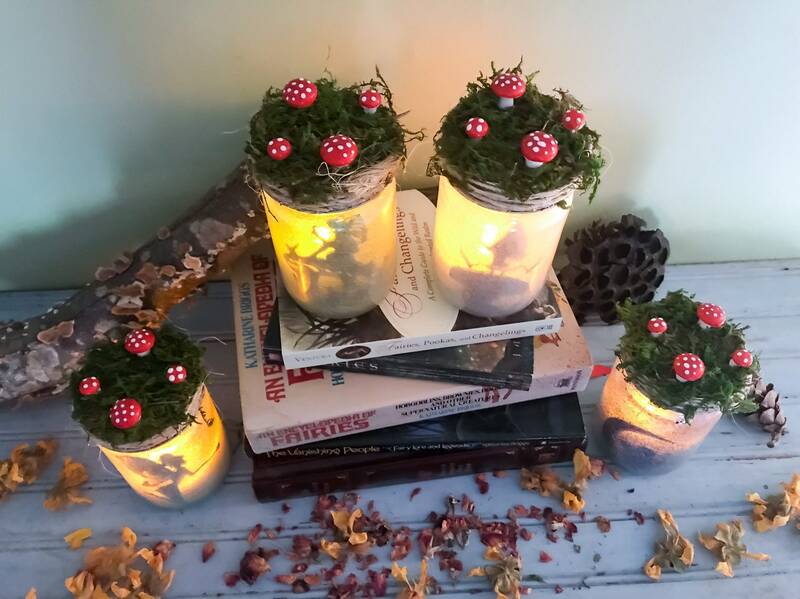 Children love these as nightlights and they make a perfect nursery decor. 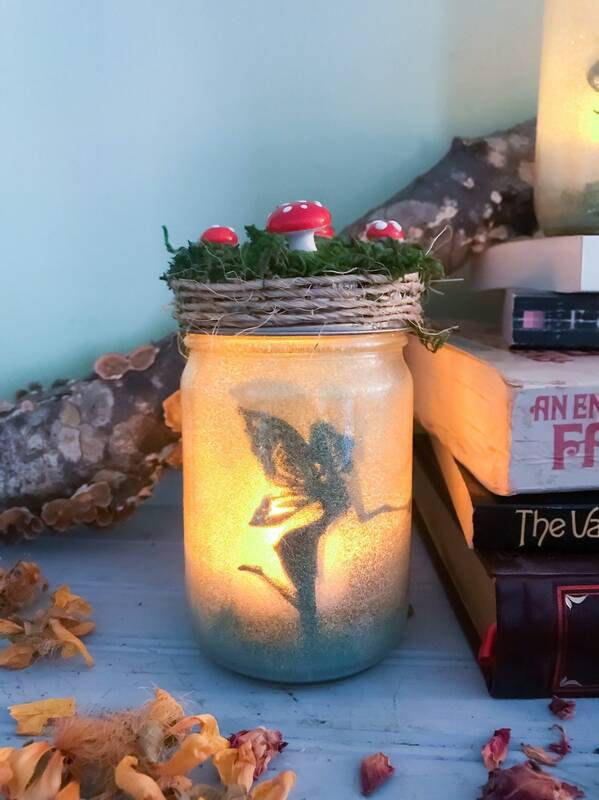 I have a wide variety of fairies, that I am unable to post pictures of because I have so many. I can create just about anything that you can think of, just shoot me a message and inquire. These are each made to order. Not for use with real candles. I love it so much! A lot of detail put in. My grandma will love it!